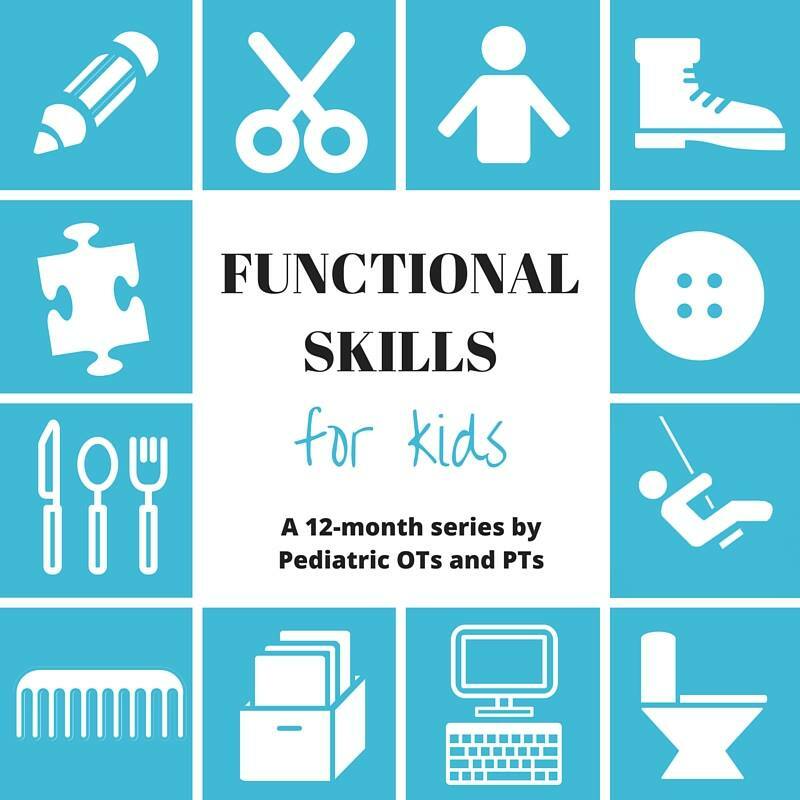 Our series about the Functional Skills of Childhood continues today as we discuss how the environment influences the way kids play. Last month, along with our crew of 9 other pediatric therapy bloggers, we explored potty training and toileting. 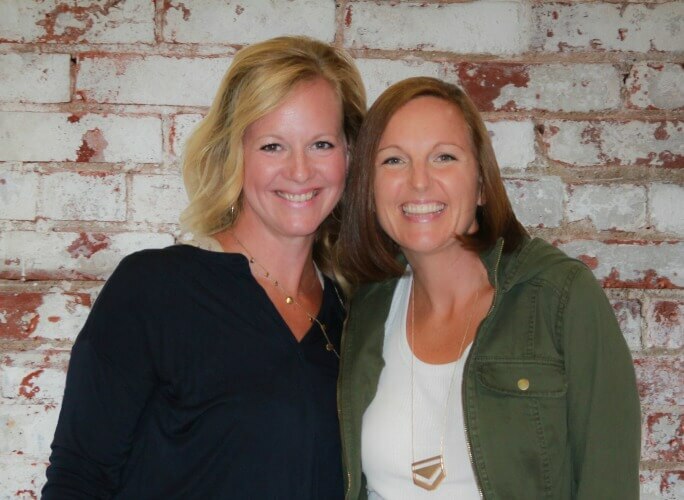 Be sure to check out what our other therapist friends had to say about all of the complex skills involved with toileting! Play. It’s the primary occupation of childhood and the single most significant contributor to healthy development in kids. From language development to motor development to cognitive development and everything in between, play is the catalyst for kids to practice every skill they’ll need to grow into independent, fully functioning individuals. There is plenty of evidence to support the idea that, when it comes to play, the way the environment is structured (or left unstructured) matters a great deal (1). 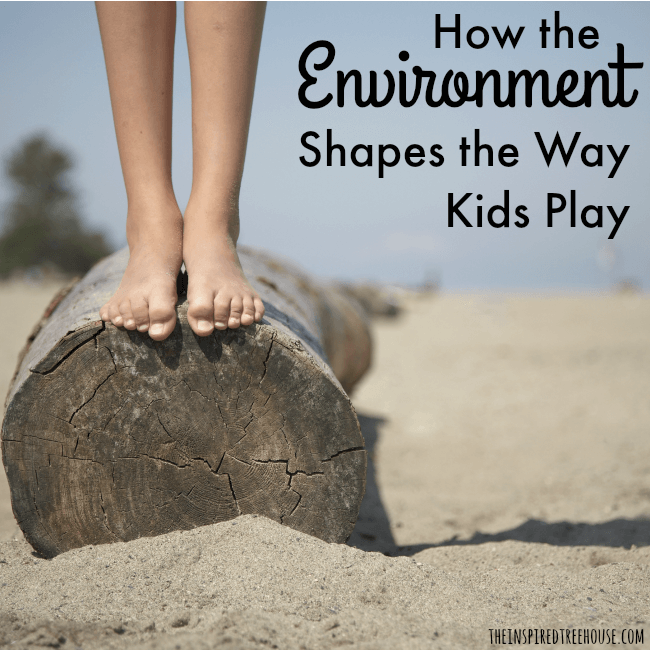 To some extent, the features of the environment can even determine the way kids will play. Some of the most important environmental considerations include: the size of the play space, social aspects, sensory features, familiarity of space and materials, and complexity and variety of materials. Think of a big, wide open space like a gymnasium or a football field. Now picture letting a group of kids loose in that space. Chances are, most of us have a similar image in our heads…kids running all over the place, yelling, jumping, chasing – loud, wonderful active play! And the research backs this up. The greater the size of the play space, the more physical activity play we see in kids (2). Now picture kids playing in a closet…the ubiquitous “secret hideout”. What comes to mind? Probably a smaller group of kids engaging in quieter, more imaginative play, right? They’re spies, or it’s their quiet space full of pillows and blankets. Again, the research is in line with this assumption – kids prefer to engage in dramatic play scenarios in smaller, more enclosed spaces (3). The size of a play space has a significant impact on the way kids play. As therapists, teachers, and parents, we can use this knowledge as we design learning, play, and therapeutic experiences for kids. We can facilitate the development of gross motor skills by moving play-based treatment sessions to the playground or gym. We can encourage social skills and imaginative play by incorporating opportunities for kids to interact in smaller play spaces. Play tents and forts are perfect for this. -Are there other people present? -Are they children or adults or both? -Are there a lot of people or only a few? -What are the rules and expectations within the setting? -Does the child feel safe and secure in the play space? -How crowded is the play space? Ensuring that a child feels safe and secure is essential for us as therapists and teachers because this feeling of safety is what allows kids to freely explore and engage with the materials and people in their surroundings (4). While having a familiar adult present in the play space can have a positive impact on play, there is also evidence that adult-free play time can elicit certain types of positive play behaviors as well. For example, children have been found to engage in more physical activity play when an adult is not present (5). The number of people present in the play space also has an influence on children’s play. Research points to the fact that children tend to withdraw in extremely crowded settings, an important consideration for us as therapists and teachers when we make decisions about whether inclusion-based interventions are appropriate for specific children and situations (6). -Can children be grouped with familiar peers to enhance their comfort level? -Can they be provided with play materials and then left alone to explore on their own? 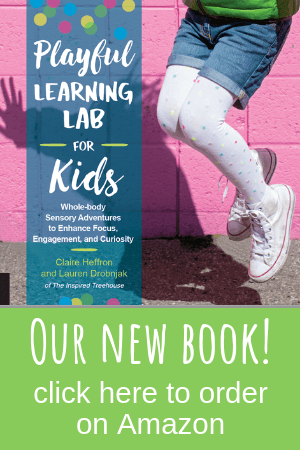 -Can we make the rules, boundaries, and expectations clearer through visual prompts or other strategies so kids can be more successful with play interactions? As we’ve discussed many times before here at The Inspired Treehouse, all children have their own unique sensory preferences and needs (adults too!). These preferences have an impact on every area of a child’s development, including play. Just as it is important to assess children’s sensory needs and preferences, a thorough assessment of the sensory features of the environment is important when looking at the way kids play. -Are there visual distractions or clutter that might impede play interactions? -Are there visual items of interest that could spur creative play? -Are there excessive auditory distractions that could negatively impact play interactions? -Are there opportunities for auditory play? -Are there tactile items of interest that could encourage exploration and engagement? -Is the play space well-lit? -Are there any smells to be aware of? -What are the movement requirements of the play space? -How do these sensory elements fit with the unique preferences of the children involved? -A light table is an amazing option for visual play. –Instruments or Boom Whackers are perfect catalysts for auditory exploration. -A sensory table can be filled with water, sand, or other materials to encourage tactile play. -Movement play and exploration can be facilitated by introducing items like stretchy bands or scooters. Most of us can attest to the appeal of a new toy or a new play space. Kids are naturally drawn to novelty. Studies show that the introduction of novel play items can add to the sophistication and complexity of dramatic play (7) and that carefully rotating and planning which play materials are available can influence the frequency of constructive play that takes place in a group of children (8). And while novelty of play spaces and materials is definitely an important consideration, kids also need time to become familiar and comfortable with using toys and play items in order to elicit engaged and developmentally beneficial play. For this reason, researchers warn not to change out play materials too frequently (11). Finally, it’s important to consider the level of complexity and variety in the play space. 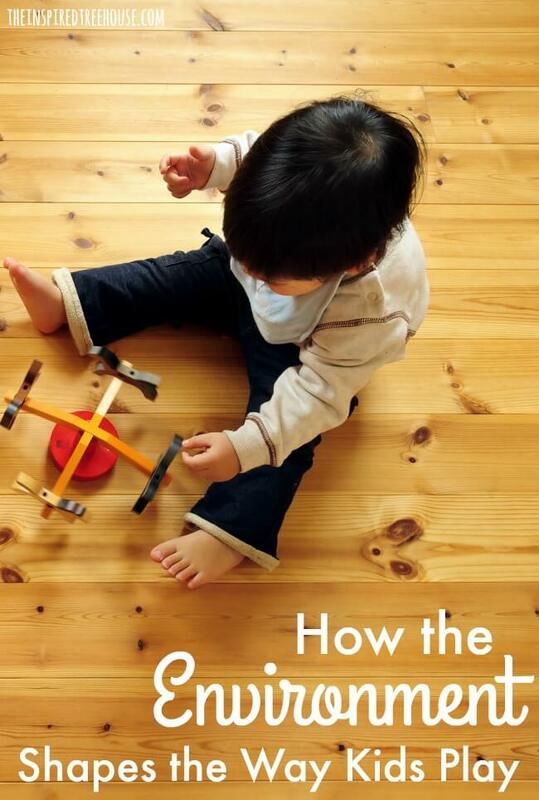 Research has found that simple, less-detailed, and more open-ended play materials that have nonspecific purposes (e.g. loose parts) tend to promote more imaginative and dramatic play (8,12). When it comes to gross motor play, variety of materials appears to be one of the most important factors. 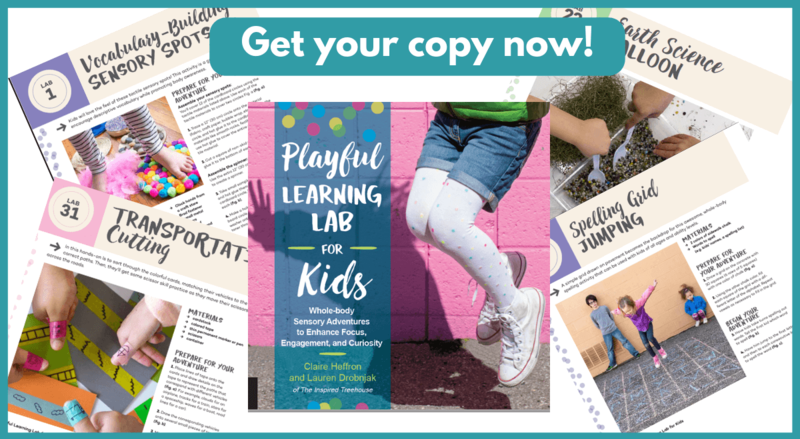 Adding moveable gross motor manipulatives to open spaces, such as balls, beanbags, streamers, hula hoops, and stepping stones creates more flexible and varied movement-based play and promotes more physical activity overall than anchored play equipment (9,10). And other research shows that a wider repertoire of play behaviors can be elicited by enhancing the physical diversity of the play environment to include interesting features (13). Outdoor play is perfect here – trees, logs, streams, grass – you don’t get more varied and interesting than that! When we’re thinking about play opportunities and play-based interventions for kids, considering the size, familiarity, social nuances, and sensory features of the space, and intentionally choosing the level of complexity and variety of the materials and setting can have a great impact on play experiences. 1 – Petrakos, H., & Howe, N. (1996). The influence of the physical design of the dramatic play center on children’s play. Early Childhood Research Quarterly. 11.63-78. 2 – Dowda, M., Brown, W. H., McIver, K. L., Pfeiffer, K. A., O’Neill, J. R., Addy, C. L., & Pate, R. R. (2009). Policies and characteristics of the preschool environment and physical activity of young children. Pediatrics, 123(2), e261-e266. 3 – Maxwell, Lorraine E., Mari R. Mitchell, and Gary W. Evans (2008). “Effects of Play Equipment and Loose Parts on Preschool Children’s Outdoor Play Behavior: An Observational Study and Design Intervention.” Children, Youth and Environments 18(2): 36-63. 4 – Rigby, P and Huggins, L. Enabling Young Children to Play by Creating Supportive Play Environments. From Letts, Rigby & Stewart (Eds). (2003). Using environments to support occupational performance. Thorofare, NJ: Slack, Inc.
6 – Howe, N., Moller, L., Chambers, B., & Petrakos, H. (1993). The ecology of dramatic play centers and children’s social and cognitive play. Early Childhood Research Quarterly, 8, 235-251. 7 – Henniger, M.L. (1985). Preschool children’s play behaviors in an indoor and outdoor environment. In J.L. Frost & S. Sund. 9 – Brown, W.H., K.A. 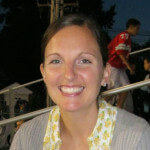 Pfeiffer, K.L. McIver, M. Dowda, C.L. Addy, & R.R. Pate. 2009. “Social and Environmental Factors Associated With Preschoolers’ Nonsedentary Physical Activity.” Child Development 80 (1): 45–58. www.ncbi.nlm.nih.gov/pmc/articles/PMC2648129. 12 – Fjørtoft, Ingunn (2001). Environmental Education The Natural Environment as a Playground for Children: The Impact of Outdoor Play Activities in Pre-Primary School Children. Early Childhood Education Journal, Vol. 29, No. 2. Great evidence based post – thank you!!!! Very good suggestion about encouraging social skills in smaller play spaces. Not only does “simple, less-detailed, and more open-ended play materials that have nonspecific purposes (e.g. loose parts) tend to promote more imaginative and dramatic play “and it also encourages increased physical activity as well. Wonderful post Claire! The environment is certainly SO important in shaping play experiences! This was an eye opening article both personally and professionally. I think a version of this article written for parents would be immensely helpful…especially when making toy purchasing decisions. My son had core strength issues due to being in a hip brace as a newborn and I would have appreciated knowing what kinds of toys would be good for him to improve his gross motor skills.